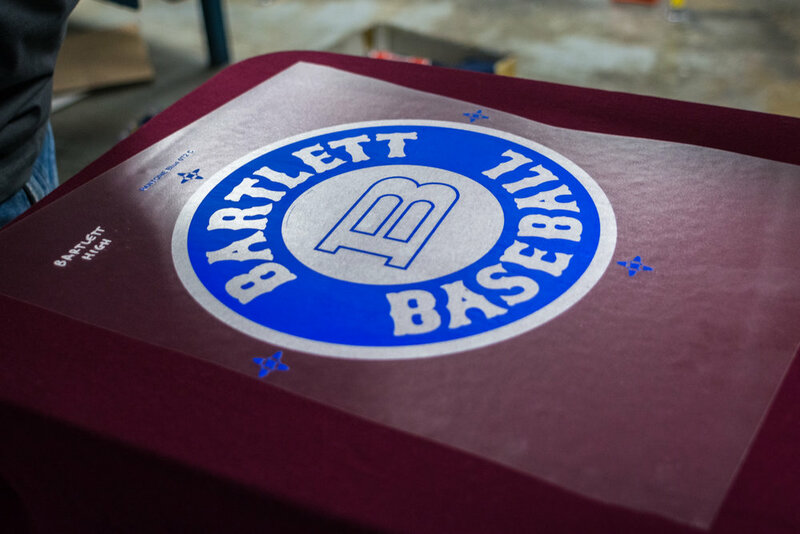 We've been in the game since 1988, serving Bartlett and the greater Memphis area with custom printed and embroidered apparel. With a combination of professional work and personal service, we collaborate with you on whatever product you envision. From screen-printed T-shirts, jerseys, embroidered hats, jackets, and more, we'll design and produce something you're thrilled to wear. Do you need custom T-shirt printing or want professional looking jerseys for your team? Our team is here to help. We can work with you on a design that's ready to print or help you turn your concept into reality. Our embroidery service can work with you on everything from custom hats to embroidered jackets, monogramming to complex orders. Expert embroidery is a great way to promote your business or complete your team's uniform. Stand out from the crowd and remind your customers about your business. We can design and print a variety of promotional items that are fun ways to promote and forge customer loyalty. Products include: koozies, coffee mugs, bag tags, license plates, and more. Many of our promotional items come without a minimum. The best way to set yourself apart from your competition is with professionally designed and printed logos. We can do custom signs and decals to elevate your brand. We print on a variety of materials and also create decals for your business vehicles. Don't have an existing design? Don't worry, we can help take care of everything from concept to completion. From top to bottom, our team is constantly striving to improve our skills and knowledge. We love what we do and want our customers to be proud of our work, so we take pride in the process. Check out our work to see what we can do, and visit our social media accounts to keep up with our latest creations. Since 1988, Bartlett Sports, Inc. has proudly outfitted schools, churches, businesses, and organizations throughout Bartlett and the greater Memphis area. Customer service is our strength, which is why we have a strong foundation of customers that have trusted Bartlett Sports for years. Our goal is to earn your business... each and every time.